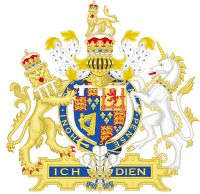 George IV was King of the United Kingdom of Great Britain and Ireland and King of Hanover following the death of his father, King George III, on 29 January 1820, until his own death ten years later. From 1811 until his accession, he served as Prince Regent during his father's final mental illness. 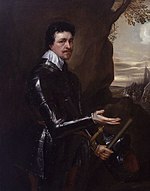 Thomas Wentworth, 1st Earl of Strafford was an English statesman and a major figure in the period leading up to the English Civil War. 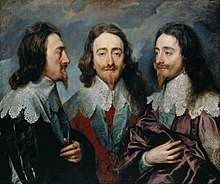 He served in Parliament and was a supporter of King Charles I. 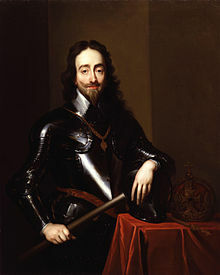 From 1632–40 he was Lord Deputy of Ireland, where he established a strong authoritarian rule. 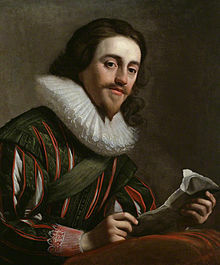 Recalled to England, he became a leading advisor to the King, attempting to strengthen the royal position against Parliament. 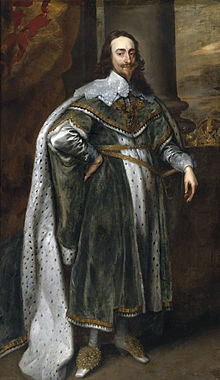 When Parliament condemned Wentworth to death, Charles reluctantly signed the death warrant and Wentworth was executed. 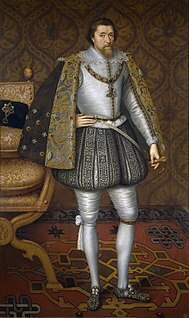 James VI and I was King of Scotland as James VI from 24 July 1567 and King of England and Ireland as James I from the union of the Scottish and English crowns on 24 March 1603 until his death in 1625. 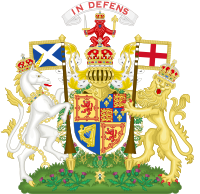 The kingdoms of Scotland and England were individual sovereign states, with their own parliaments, judiciaries, and laws, though both were ruled by James in personal union. 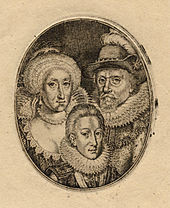 John Williams was a Welsh clergyman and political advisor to King James I. He served as Bishop of Lincoln 1621–1641, Lord Keeper of the Great Seal 1621–1625, and Archbishop of York 1641–1646. 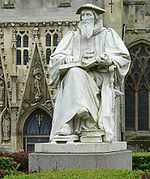 He was the last bishop to serve as lord chancellor. 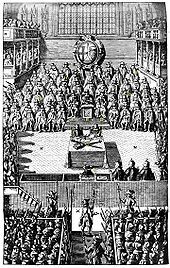 The Cabal ministry or the CABAL refers to a group of high councillors of King Charles II of England, Scotland and Ireland from 1668 to c. 1674. 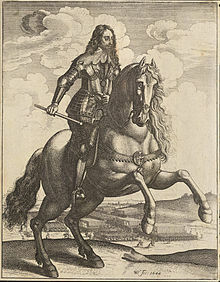 John Digby, 1st Earl of Bristol, was an English diplomat and a moderate royalist during the English Civil War. 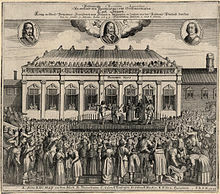 The execution of Charles I by beheading occurred on Tuesday 30 January 1649 outside the Banqueting House in Whitehall. 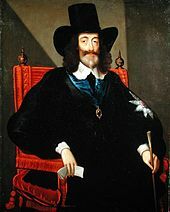 The execution was the culmination of political and military conflicts between the royalists and the parliamentarians in England during the English Civil War, leading to the capture and trial of Charles I. 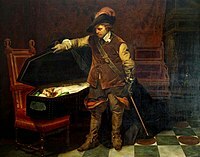 On Saturday 27 January 1649, the parliamentarian High Court of Justice had declared Charles guilty of attempting to "uphold in himself an unlimited and tyrannical power to rule according to his will, and to overthrow the rights and liberties of the people" and he was sentenced to death. 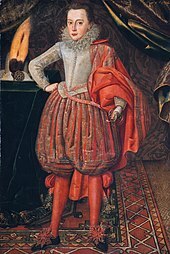 Sir Henry Vane, the elder was an English politician who sat in the House of Commons at various times between 1614 and 1654. 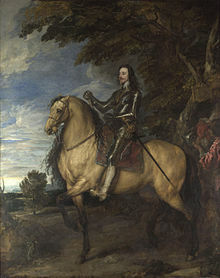 He served King Charles in many posts including secretary of state, but on the outbreak of the English Civil War joined the Parliamentary cause. He was the 3rd cousin of Francis Fane, 1st Earl of Westmorland. The Anglo–Spanish War was a war fought by Spain against the Kingdom of England and the United Provinces from 1625 to 1630. The conflict formed part of the Eighty Years' War and the Thirty Years' War. 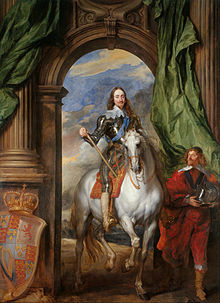 The Stuart period of British history lasted from 1603 to 1714 during the dynasty of the House of Stuart. 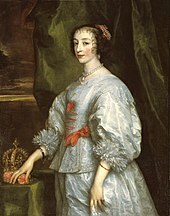 The period ended with the death of Queen Anne and the accession of King George I from the German House of Hanover. 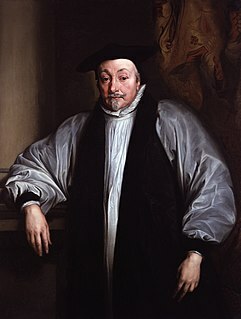 William Laud was an English archbishop and academic. He was Archbishop of Canterbury from 1633, during the personal rule of Charles I. 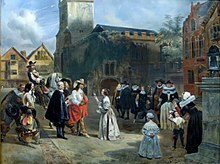 Arrested in 1640, he was executed in 1645.